The 2012 DODGE RAM 4WD is big and burly, yet very detail-oriented. 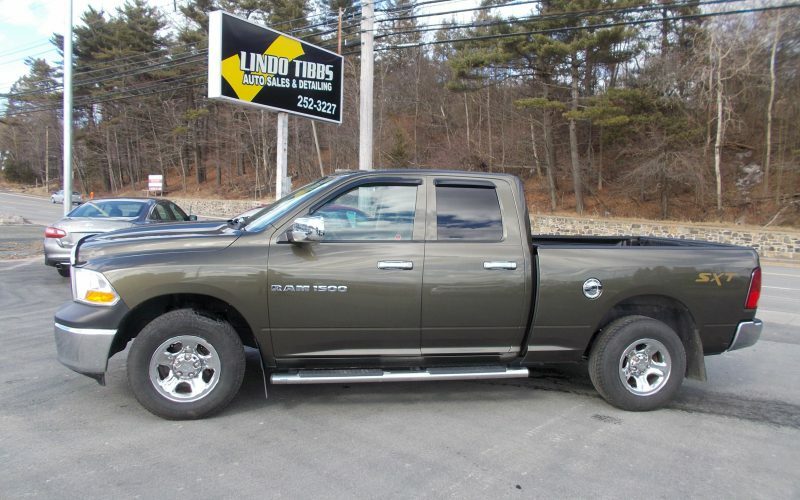 For those who want a good ride and refined interior, it’s one of the best bets.The 2012 DODGE RAM 4WD is the best-riding pickup and one of the best-handling models. Comfort and size aren’t always directly related, but the Ram 1500 pairs them in a sensible way. The Ram’s mid-line 4.7-liter V-8 is more competitive in its class. With its five-speed automatic and rear-wheel drive, it’s rated at 14/19 mpg. It’s also flex-fuel-capable. 4.7L 8 CYL Engine, 4 Wheel Drive, Side Steps, Vent Visors, Bug Deflector, Keyless Entry, Power Locks, Power Windows, Power Mirrors, Air Conditioning, Cruise Control, Tilt Steering, Dual Front Air Bags, Power Steering, Automatic Transmission, AM/FM CD Player, Sliding Rear Window, Fold Up Rear Seat, Delay Wipers. Tinted Rear Windows & 6 Passenger Seating.